Runde's Room: It's Thanksgiving ... and We're Showing Our Thanks! It's Thanksgiving ... and We're Showing Our Thanks! This weekend is Thanksgiving in Canada, and we want to show our THANKS to you for all of your support with a little sale. 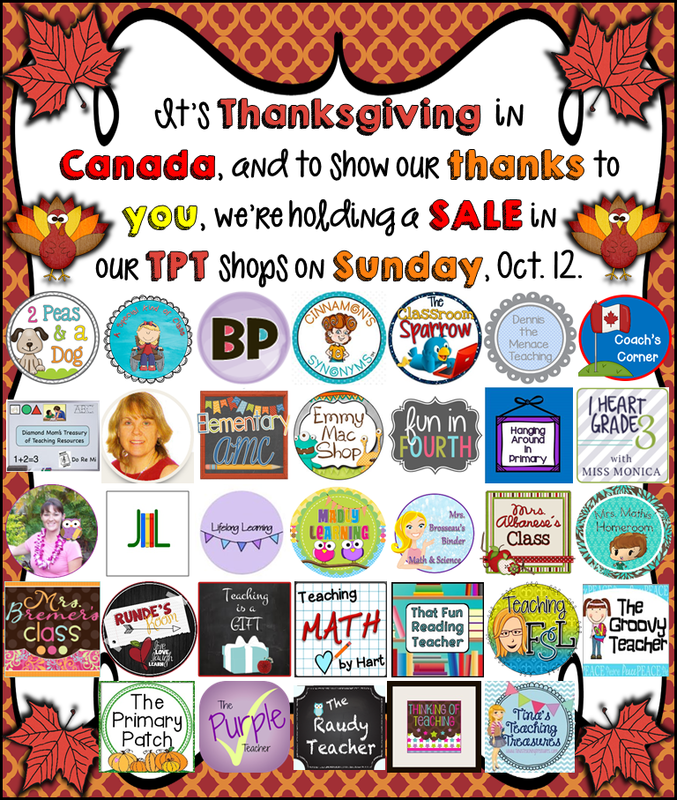 I've teamed up with some fabulous Canadian bloggers and TPT sellers for a big sale this weekend. This Sunday, October 12th, you can save 20% on all my resources. And that's not all ... I will be offering one of my Thanksgiving-themed resources for free all day that Sunday ... can you find out which one it is? All of the fabulous sellers in the graphic below are participating in the sale. Click on any of the buttons to check out their stores. I LOVE Canada - it's a beautiful country. Plus, your Thanksgiving is always around my birthday - Oct. 12th! Happy Thanksgiving! I am so Thankful to be part of this amazing group of sellers.